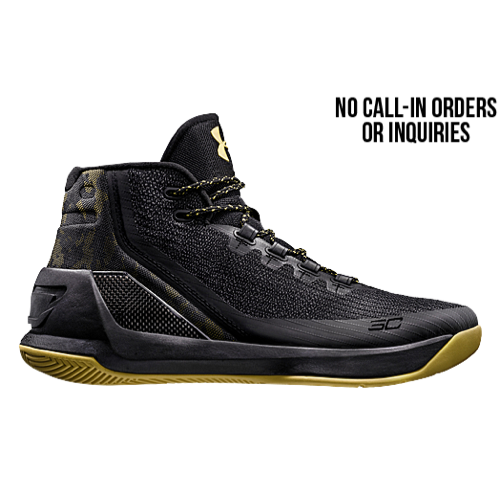 With Steel Aluminum and Triple Black colorways on the way, the Under Armour Curry 3 is showcased in another new finish black/taxi this season. Suggested to arrive next week, the performance basketball sneaker is essentially covered in the stealthy hue, while bright yellow accents are prominent on the outsole, branded tongue and laces. In addition, a camouflage pattern is evidenced on the heel section to further define its understated aesthetic. You can find this pair at select UA retailers starting October 27th, but, stay tuned to KicksOnFire for further updates. In this colorway, the silhouette looks really appealing. I’m not into the style overall, but, I do like its simplicity.